This uncoated, raw steel sign is cut from steel about as thick as a nickel. The steel has an oily finish to prevent rust during shipping. With time and exposure to moisture the sign will rust if not painted. We've also offered a variety of powder coated finish options if you'd like a finished piece. 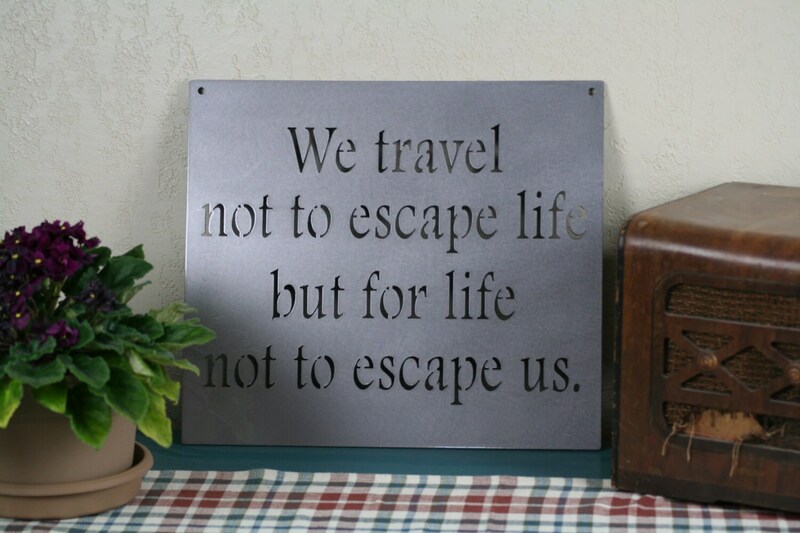 This metal sign makes a great gift for housewarming, retirement, anniversary or birthday. Sign is 17" wide and 15" tall. It has small holes in upper corners for hanging the sign as you wish or displaying with an easel. Select from the drop-down menu if you would prefer a durable powder coated finish on this sign. We hope you'll love our home decor as much as we love creating it!